Downtown Decorations collaborates on numerous projects each year with cities and organizations throughout the great state of Texas. Our clients in the Lone Star State go all out when it comes to decorating for the holidays. Like the saying goes, everything’s bigger in Texas, and that includes their décor projects. 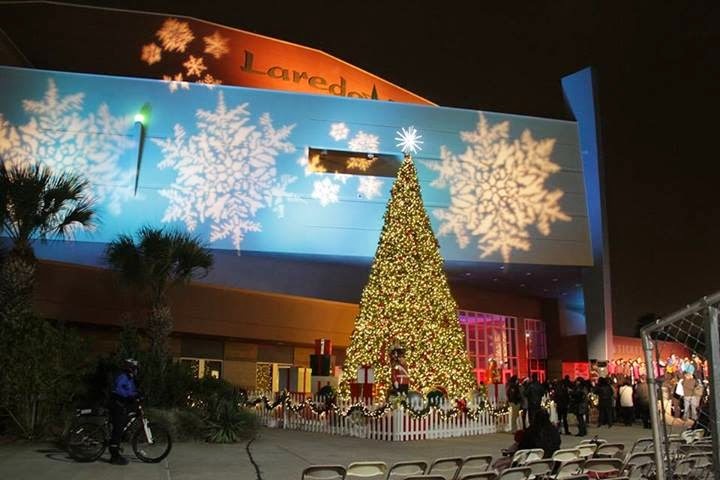 Last year, we were contacted by the city of Laredo, Texas to work on their décor for the 2013 holiday season. The city is the 3rd most populated US-Mexican border city after San Diego and El Paso, so we knew we had to come up with something that would amaze the large number of visitors. We produced a stunning 34 ft. giant Christmas tree lit with warm white LED lights, adorned with a festive red and gold deluxe ornament package, and topped off with a 4 ft. snowburst tree topper. 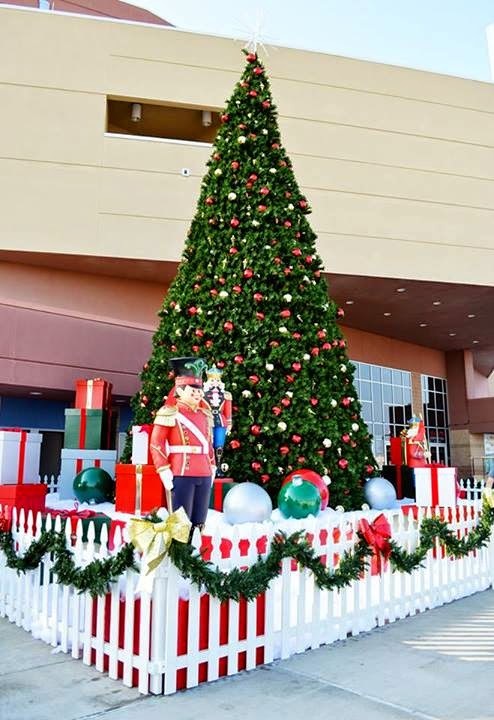 Visitors can spot the tremendous tree out front of the Laredo Energy Arena. We’re happy to be involved with so many décor projects in Texas and we can’t wait to see everyone at the Texas Municipal League Conference next month in Houston!